Once I became a Power Rocker for Rock My Run, I decided to listen to as many of the Rock My Run mixes as possible. My romp through the mixes landed me at Phenomenal by DJ Rolemodel yesterday. “I like rap and hip-hop” is one of those things that always ends up on those “things people would be surprised to know about me” lists. Not the misogynistic or profane which, admittedly, rules out many selections. But the beat, the musicality, the dynamic of the music. This was a great mix which left me with a serious earworm of Choices by E-40. Anyway, that’s the one relatively clean example I could give on my family-friendly blog! Watch the video if you want to get the full effect. 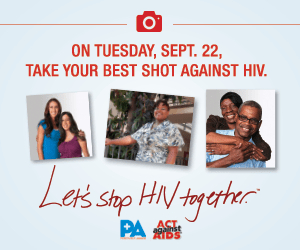 NOW … what I really want to talk about in this post is Tuesday, which is A Day With HIV. 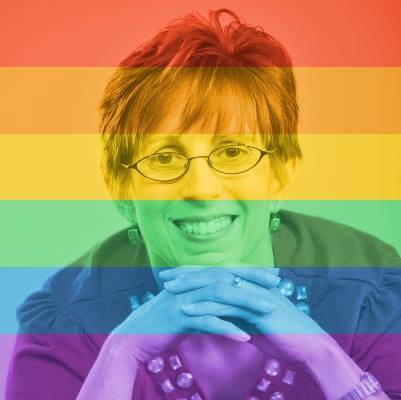 I had an opportunity to do some social media shares via a blogger campaign, but this cause is so personally important to me that I want to use my blog space to highlight the day beyond what the campaign required. 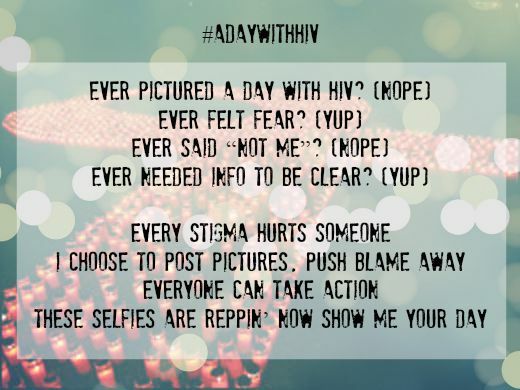 On 9/22/2015 people across the world, whether HIV-positive or negative, will visually capture and share a moment of their day – A Day with HIV – to focus attention on what it means to live in a world with HIV. My involvement with this issue started back in the late 80s, when I was a counselor/supervisor on the first Florida AIDS Hotline. At the time, I answered the hotline and supervised the counselors because it was my job. Now, almost three decades of life experience later, my allegiance with this cause is a part of who I am, not just something I do (or did …) as a job. Don’t worry — I am not going to try to sing my eight lines!!. They may make you scratch your head, they may make you laugh … I don’t know. My goal is, though, that you’ll say “yup” to posting a selfie on Tuesday! Visit the Twitter Page here. Visit the Instagram Page here.